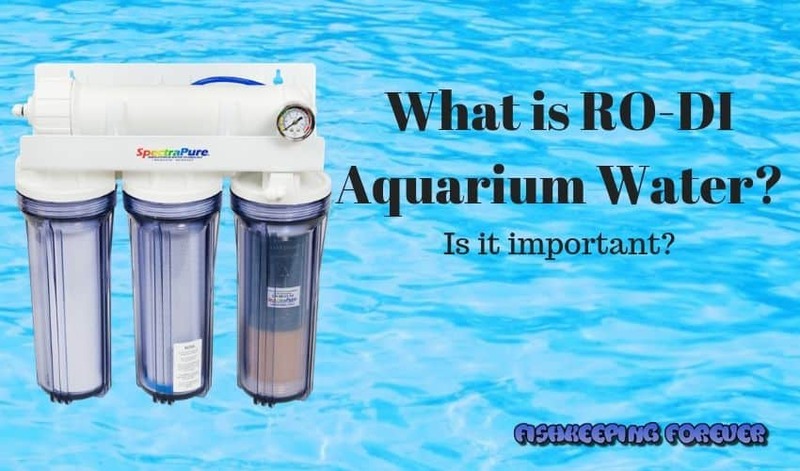 Blog What is RO-DI aquarium water and is it important? What is RO-DI aquarium water and is it important? One of my favorite aquariums is the one that has coral reef and saltwater fish. I have a variety of live coral such as a pink mushroom coral, red leather corals, some pieces of star polyps and few daisy polyps which make my aquarium richly colorful. What is RO-DI aquarium water? RO-DI Aquarium water stands for Reverse Osmosis-De-Ionization system. It’s a multi-stage process that purifies tap water by removing any harmful traces of metals that are present in your tap water. By forcing the tap water through a series of micro-filters to end up with pure tap water that’s safer to use in an aquarium. These include blue and yellow tailed angelfish, the happy-go-lucky orange and white clownfish and a few multicolored gobies. When it comes to aquariums there is nothing more beautiful than a large marine reef aquarium. The stunning bright colors of the fish and neon coral make a dramatic impact on everyone. A marine aquarium is great to look at but as nice as it looks, it takes some effort to set it up. Ask anyone and they will tell you that saltwater fish tanks are difficult to maintain and there is some truth to this statement. Setting up a marine aquarium can be rather simple, if you know the key steps, follow them carefully and the rest is easy. I assure you that you can successfully maintain a healthy plant and animal life in your marine aquarium. I did it and so can you. The biggest reason for the lengthy process is that the water must be thoroughly removed of all impurities and balanced in order to maintain sea-life. Investing time and money to create a healthy aquarium environment is very important as most saltwater aquarium fish and coral are quite expensive, so it is best to invest more, rather than lose your expensive creatures. What is RO-DI aquarium water and is it important in a fish tank? Let’s have a look and see if and why it’s important especially in a saltwater/Marine fish tank. 1. Natural seawater from the ocean: Get the real seawater from the ocean, if you live near a shore. This option is not available to everyone as the vast majority of us don’t live near the ocean. 2. Purchase ready-made saltwater from a local fish store: Local pet shops have some expensive equipment, to purify the water and then mixing salt in it to be suitable for marine aquariums. The advantage, of course, is that you don’t need to buy all the filtering equipment. However, the saltwater that you buy at your local fish store is rather expensive and still, you have to transport large heavy drums full of saltwater from the shop to your home. 3. Make the saltwater yourself: The option to make pure water is there and not very difficult. You can purify tap water and mix the sea salt which you can purchase from the pet shop. I will tell you how you can make your own saltwater which is safe for your marine aquarium. What’s wrong with tap water, We drink it after all? First of all, let’s discuss the water itself. Municipal, or tap water, is not recommended for a marine aquarium as it often contains high levels of chlorine, nitrates, phosphates, and silicates and other dissolved solids which encourage the growth of unwanted rust colored powdery algae. If you use water straight from the tap to make-up your sea-salt mix or add top-off water to your marine aquarium you may be heading for a disaster. Although the drinking water supply in our homes goes through purification processes and is fit for human consumption, some impurities or chemicals can still be present in the water that may be harmful to the aquatic life in the aquarium. Most city municipal water departments treat the water with chlorine and/or add chloramine compounds to destroy the bacteria that may be present in the raw water. The problem here is that phosphates, nitrates, and silicates are elements that naturally occur in water, and it is not unusual for some tap water sources to contain high concentrations of these chemical elements. These contaminants have to be removed before you can use the water in your marine aquarium. The fish tank water de-chlorinating products available in the market remove the chlorine elements but often fail to remove the chloramine compounds. Therefore, you need to make sure you are using a formulation that specifically removes the chloramines. Only then you can be sure that the water you use is fit for your aquarium. If you can manage to filter the tap water to remove all the contaminants and make it pure, then your water can be safely used in your marine aquarium after adding suitable salts. RO-DI is a system of purification of water that will meet this purity requirement. How does an RO-DI system work? 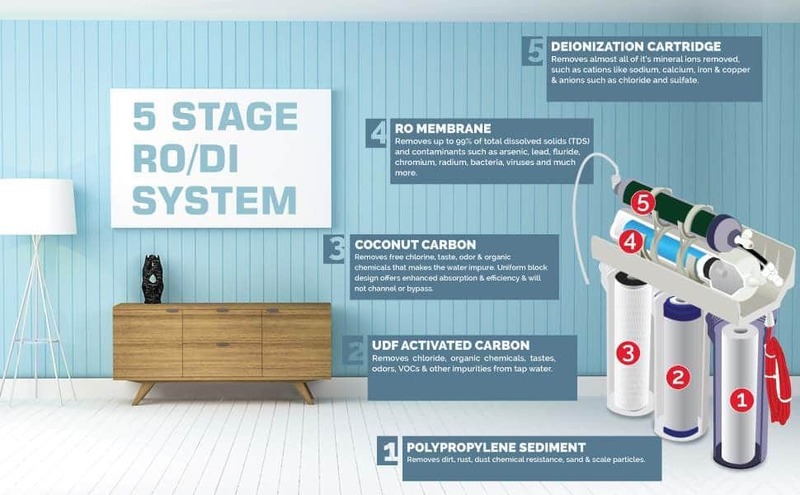 RO-DI is an acronym for Reverse Osmosis-De-Ionization system, which is multi-stage process based equipment that is used to purify the water. RO-DI essentially cleans up the tap water to make it pure before the salt is added. pesticides, chlorines, chloramines, phosphates, nitrates, and heavy metals. The contaminant’s molecules are physically too large and are thus rejected by the micro-pores of the system during the filtration process. Most of the RO-DI systems which are used by hobbyists for producing pure water for marine aquariums filter the tap water in multiple stages. Most of the hobby grade RO-DI units are almost of the same design as they use standard sized filter cartridges. Water is passed in series of a four-stage process which includes mechanical filtering, carbon adsorption, reverse-osmosis, and de-ionizing which makes the final product coming out of the system as pure water. First Stage: The water is passed through a very fine micron sediment pre-filter that removes all types of silt, sediment, clay, sand and rust particles as well as any other debris that may be present in the tap water. This also helps in saving the R/O membrane from early clogging up. Second Stage: The water is then passed through an activated carbon filter that removes minerals and contaminants such as chromium, copper, mercury, pesticides, and other chemical compounds. It also removes chloramines which are a mixture of chlorine and ammonia, which are used by municipal authorities for disinfection of water. Chloramines are particularly harmful as they shorten the life of the RO membrane as well as fish and live coral. Deionization: RO-DI units have the DI as the third stage. In De-ionization, two types of synthetic resin cartridges are used, one to remove positively charged ions or the cations and another to remove negatively charged ions called the anions. Cation removes magnesium, calcium, and sodium, whereas anion resins remove chlorides, sulfates, and bicarbonates. If a DI cartridge is being used as the third stage, the fourth stage cartridge has a special membrane which removes silicates, nitrates, phosphates, and other compounds. There are several types of membranes which can be used in RO units, but the most frequently used one is the Thin Film Composite (TFC) membrane. The water which has passed through the system is sent to the storage tank. This is pure water. The water which does not pass through the membrane is rejected and sent to a drain via a tube. In order to extend the life of the membrane, it should be back-flushed on a regular basis and if necessary, daily. This product is great for aquariums of all sizes and other applications where ultra-pure water is necessary. 1-year manufacturer warranty; Lifetime customer support. NOTE: Auto shut off valve and check valve will only be included upon customer request (only needed if you plan to connect the system to a storage tank). Designed especially for customers who are buying an RO/DI for the first time. Extremely simple and easy to use! A fast and cost-effective way to produce 100% pure water. Get good quality marine salt like Instant Ocean. It isn’t just sodium chloride, like your table salt. It has other mineral content which is important to help keep a happy reef aquarium. There are three important components of an aquarium salt mix. Apart from common salt, these are calcium, alkalinity, and magnesium. You’ll need a Hydrometer to test and adjust the level of saltwater within the water. We use Instant Ocean Testing Htdrometer from Chewy.com. They are inxspensive and easy to use. Calcium is an important component in aquarium salt. It is used by the corals and other invertebrates in the tank to build their stony skeletons. The concentration of calcium in a reef aquarium is recommended to be around 400 ppm, which means that 400 out of every million parts of saltwater will be calcium. Alkalinity is related to the pH, or relative acidity of the water. Pure water is chemically neutral, but water with aquarium salts mixed in becomes much more alkaline. Alkalinity is important because it is a good measure to determine the amount of bicarbonate present in the water. Bicarbonate is one of those salts that are important to coral growth. You should make sure that the alkalinity in your marine aquarium is within the range of 8-11 dkh. Magnesium is present as a trace element in saltwater. In combination with calcium, it affects the quantity of alkalinity in the marine aquarium saltwater. The recommended range for magnesium in a healthy saltwater aquarium is around 1250 ppm to 1400 ppm. Mix the salt mixture with the pure water that you have produced as per instructions on the salt mixture packet and voila, you have saltwater suitable for a marine aquarium. Now you know everything about making pure water and mixing the right salts for preparing saltwater for your marine aquarium life to prosper and for you to enjoy. Conclusion-What is an RO-DI system? Should you buy and use an RO-DI water purification system? Well, if you want to provide your fish with the best possible water conditions, then, YES! Some fish like Green Dragonet Mandarin fish and specialist saltwater tanks like Nano reef tanks will definitely benefit from using RO-DI water. It will give your tank and fish the best conditions possible. Many experienced saltwater aquarists would never use tap water. But like most areas of fish keeping, the use of RO-DI water will be argued for many years. You’re either a lover or hater of using this type of water. Our opinion? Well, if you choose to keep fish or any pets then you should provide them with the best water conditions possible. By using RO-DI water you will be doing exactly that. If you’re a beginner and need more information, then feel free to check out our complete guide to starting a fish tank. 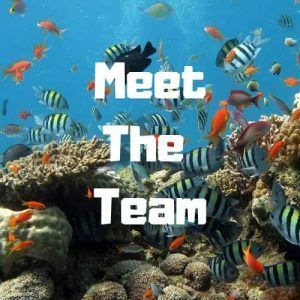 Packed with loads of helpful information to help you get started in this amazing hobby without any FishKeeping Mistakes.